The seventh solo studio album by American singer and songwriter Paul Simon was released in August 1986. It produced four singles, including “You Can Call Me Al”, that hit number 4 on the official UK singes chart. 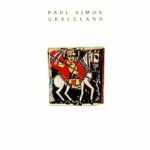 “Graceland” album hit number 1 on the album charts in the UK, Australia, Canada, New Zealand, South Africa and European Top 100 Albums and #2 in the U.S and became Simon’s most successful studio album. 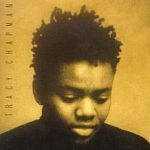 The self-titled debut album by singer and songwriter Tracy Chapman was released in April 1988. All songs were written by Tracy Chapman. The album hit number 1 spot on the albums charts in the U.S., U.K., Germany, New Zealand and many other countries. In total, the album sold over 20 million copies worldwide. The album was awarded with Grammy Award for a Best Contemporary Folk Album and the single “Fast Car” for Best Female Pop Vocal Performance (Grammy Award) and Best Female Video (Billboard Music Awards). The album was released on 20 November 1989. It was the best-selling album of 1990 in the UK. 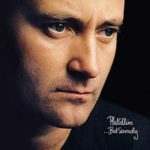 All tracks were written by Phil Collins. “Another Day in Paradise” was released in October 1989 as as single and became a major hit worldwide reaching number 1 in the United States and Germany and #2 on the Official UK Singles Chart. 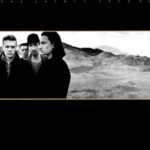 I Wish It Would Rain Down, Something Happened on the Way to Heaven, That’s Just the Way It Is and Hang in Long Enough were released as singles in 1990 followed by the release of the live album Serious Hits… Live! Tom Johnston – Where Are You Tonight? A greatest hits collection album by Bob Marley and the Wailers was released in 1984. It is the best-selling reggae album of all-time. 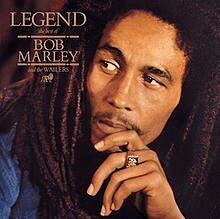 “Legend” contains all ten of Bob Marley’s UK Top 40 hit singles plus three songs from the original Wailers. The cassette tape release of the album featured bonus songs: “Punky Reggae Party” and “Easy Skanking” from the Kaya album. The seventh Michael Jackson’s studio album was released on August 31, 1987. Nine of the album’s eleven tracks were written by Jackson. The album produced nine singles, five of them reached number 1 on the Billboard Hot 100 charts. The only songs on the album which were not released as a single were “Speed Demon” and “Just Good Friends” (duet with Stevie Wonder). 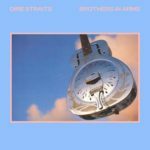 The fifth studio album by the British band Dire Straits was released in May 1985. The album spent at number one position ten 10 weeks on the UK Albums Chart, nine weeks on the Billboard 200 in the U.S., and 34 weeks on the Album Chart in Australia. The album was awarded with two Grammy Awards in 1986 (for Best Engineered Recording, Non-Classical Album and for Best Rock Performance by a Duo or Group with Vocal for “Money for Nothing”), and with 1987 Brit Awards for Best British Album. The album produced five official singles. The sixth Michael Jackson’s studio album was released on November 30, 1982. 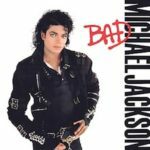 Seven singles were released from the album including multiplatinum singles “Beat It” and “Billie Jean”; “Baby Be Mine” and “The Lady in My Life” were the only tracks that were not released as singles. 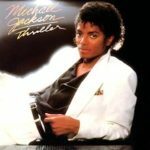 Thriller is the best-selling album of all time worlwide, with estimated sales more than 65 million copies. The album won eight Grammy Awards in 1984, including for Album of the Year. 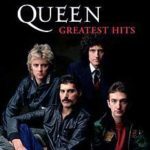 A compilation album by the British rock band Queen consisting of band’s best-selling singles was released in October 1981. The album spent more than 700 weeks in the UK Charts, and is the best-selling album of all time in the UK with more than 6 million copies there. It is certified 8x Platinum in the U.S., reached number 1 on the charts in Germany, New Zealand, Austria, Nehterlands… Exactly ten years later “Gratest hits II” compilation was released.